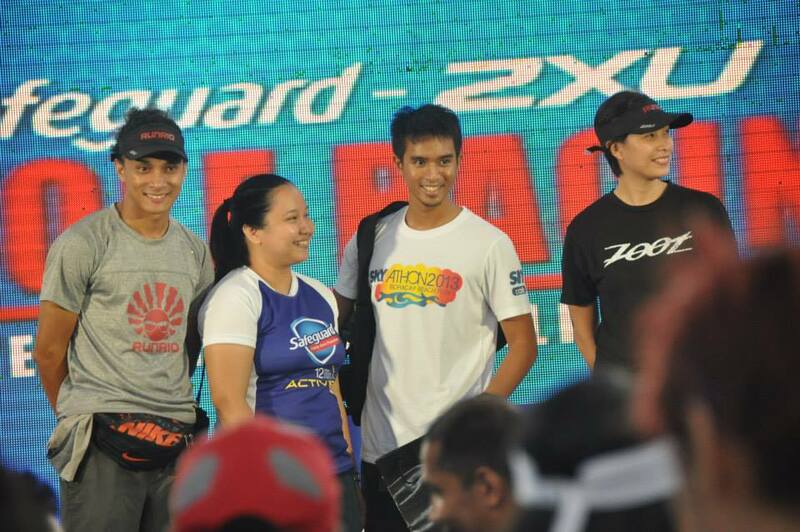 Back in April, Runrio with Safeguard and 2XU organized the first leg of Sole Racing. On August 18, the second leg was held in SM Mall of Asia. Once again, I am honored to be invited to join the run event and to run alongside running celebrities, Ironman triathletes and some recreational runners. This newest addition to the Runrio series will have the next 21k leg at Nuvali on October 23 to be followed by a 50km ultramarathon on December 15. More details can be found in the runrio website. I was pretty consistent in my training with maintenance runs and long runs. Last week, I ran about 25kms from CCP to Aseana City. But my original plan was to run more than 30kms which I failed to do so as I ran out of fuel with not enough carbo loading and no food during the run. But I forgave myself from missing a few miles and promised my vengence the next week. Luckily, I was invited to join this run so revenge was surely on its way. My 10km run turned to an official 21k without any excuses (since this is an official running event). 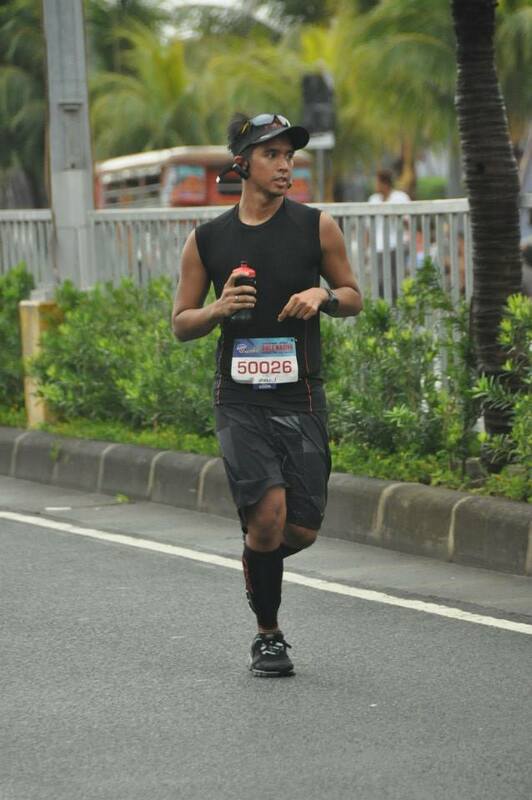 I attribute this feat (At tuloy na tuloy ang bawi ko sa long runs!) 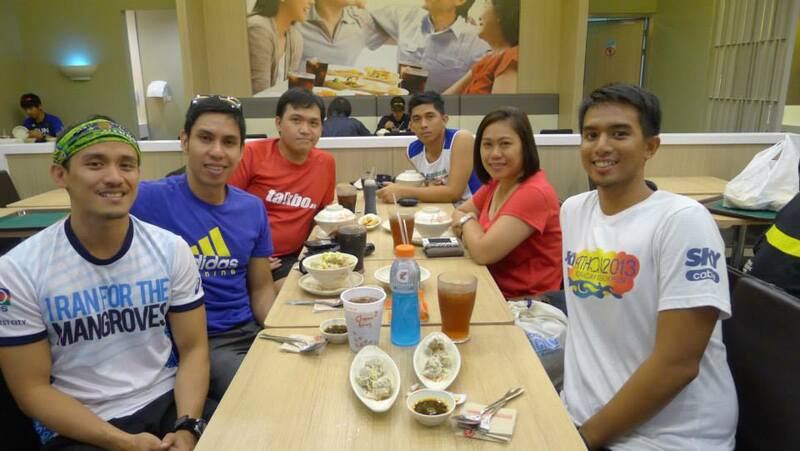 to Coach Rio, Mommy Vimz and the rest of the Run Rio team. I woke up an hour early learning my lesson from that RU1 experience of being late to a gun start. I also decided to ride a taxi which resulted from me being just in time for gun start. I arrived 3 mins before gun start, not enough time for a decent warm up so I used the first mile as warm up instead. The night before the race, I was pondering whether to aim for a time or just test out my strategy for RUPM. As I was looking for a ride to the venue, I just wanted to finish without any time in mind and test out my RUPM strategy. I wanted to do 4-1 galloway for the first 10 miles and do magic mile until the finish line. I forego part of that plan to warm up. It was fitting as this intimate race had a lot of participants aiming for time so the slow crowd is minimal compared to other races. At the 4th to 8th kilometer, the rain fell hard. I was in the route to CCP and Roxas Boulevard, then. We could see the big waves hitting the bay walk walls and felt the cold winds of a tropical depression, in addition we were soaked with rain making it a more challenging to run. I was soaking wet but I continued to do 4-1 galloway. The cooler environment was fun to run in but definitely more difficult. On our way back to the MOA area, my wet shoes started to take a toll on my foot strike as my wet socks made my foot fit differently to my shoes making it painful to strike with my right foot. I dismissed the pain on the way to Aseana City but on the way to the last u-turn, I couldn't ignore it any longer. I had to make additional stops to try wiggle my toes so my foot would fit better in my shoes. It went away momentarily but it kept coming back. It was also around this time that I transitioned from 4-1 galloway to a magic mile run. I was doing it slower than I did on my previous training runs due to the pains I was experiencing. I also had to do more stops but I continued running. As this was almost the same route I ran the week before I found that I could control my pace better, especially to the last kilometer to the finish line. I made a mental note to try out the RUPM course sometime soon. I finished at around 2:30. Then, I met some blogger friends on my way to claiming hydration and bananas to fuel me post run. After getting out of my wet running clothes, we made our way to the activity area to watch the raffle draws. Luckily, my number was called and I came home with a new Timex watch, which came just in time to replace the one that was broken after a battery replacement accident. Then, my blogger friends and I went to a fastfood restaurant, had breakfast and bond. Just like the first leg, Safeguard/2XU Sole Racing was a great race. The hydration was more than enough. I had to tell the hydration folks repeatedly to not fill my tumbler with water or gatorade too much. 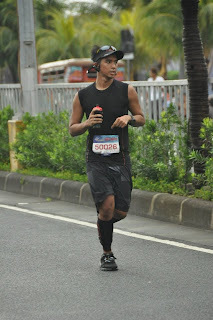 The gatorade and water was cool and refreshing despite the challenges of the run. The race route was mostly flat which was great for constant paces. The race loot bag was great. I love my new Runrio visor. The water bottle was better in the first leg. I think the leg 2 water bottle is better with gym workouts and not long runs. I used my leg 1 water bottle in the race as the new one was too fat. It was great that this time they weren't so strict with the water bottles like in the first leg. The activity area was great. They had an instagram photo printing booth instead of a photo booth, which was sad for someone who can't have an instagram account (Damn, Blackberry!) Despite the unforseen "storm", the race was a fun experience and organized well. Congratulations to all the runners who finished and brave the rains to reach the finish line! 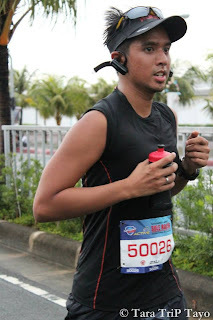 Thanks to Runrio, Safeguard and 2XU for this memorable race.